shop feature: oh hello friend. I love me some shopping time, especially when it’s at a cute little shop. 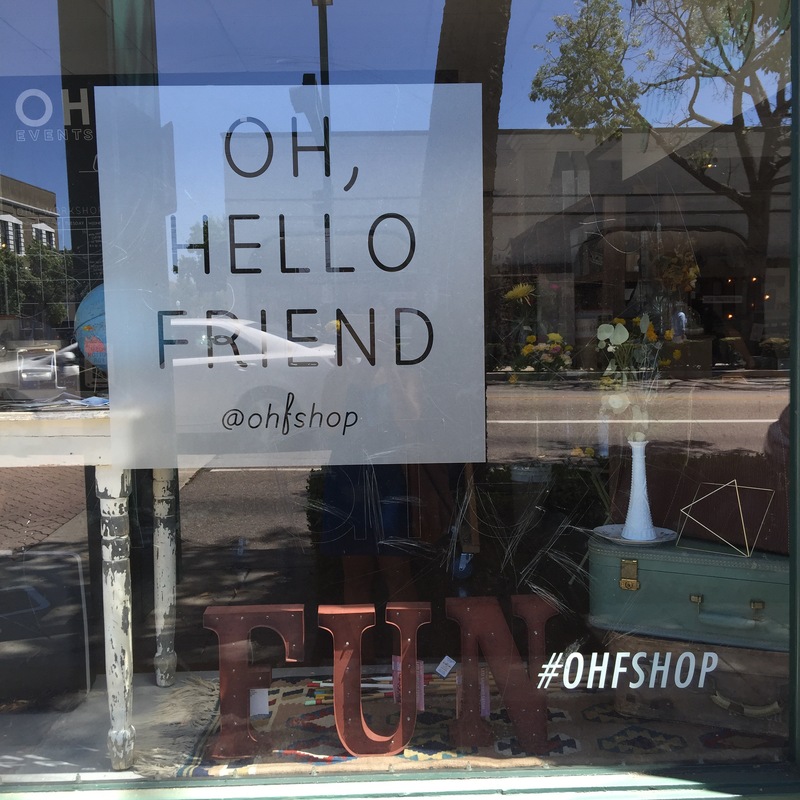 On a recent visit to SoCal I stopped at Oh Hello Friend in Fullerton to get my dose of oh-my-gosh-I-want-everything-but-I-will-just-look feels! From housewares to party goods, clothing to stationary, Oh Hello Friend could potential provide me with hours of entertainment. And as a maker, I was inspired by all of the display items. They also have a space for workshops which is decked out with lovely decor. There wasn’t a workshop on the day of my visit, but they had some leftover flowers from an event and I got make and take a mini floral bouquet. I left with some fun cards (I love making cards, but I love buying them, too! And PS, they have a frequent buyer card stamp program. ), my mini bouquet from the floral bar, and loads of inspiration and feel goods. I will definitely find my way back here again one day. Where do you like to shop small? Share below! It’s not really shopping “small” but we gotta go to Hobby Lobby next time!